Naturalist is made up of FlatSpin and Mister Moffat from Fernie, BC. Sam and Caleb have been playing Fozzy Fest since 2012 and are a big part in throwing Fernie’s famous Mogul Smoker. 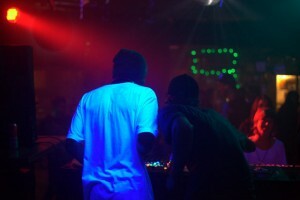 Their sound is diverse, playing everything from down-tempo to hip-hop to house, breaks and drum & bass. The mix they have put together for you is a taste of what you could expect from them at festivals and parties this summer. A mix for morning hours which is their favourite time to play lately. Either sunrise or sunset, as they are known for toying with the sun; two years in a row they began playing in the rain and brought the sun out!